2. 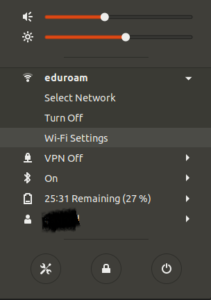 Open Wifi Settings and press on “Network” on the left. Password: Your password on NMBU’s services (You might have to press the questionmark and then choose “Store the password only for this user” if you cant type). 10. Press on “OK” and then “Add”. The VPN should now be set up. This entry was posted in IT-documentation on March 15, 2019 by Jørgen Johnsen Navjord.